Shelagh McKibbon-U'Ren and I have created everything you need to successfully teach all the requirements in the new RCM Theory Syllabus, that will have your students running into class excited about learning! Want the New RCM Theory Syllabus Overview? Confused about what's new and where to begin? At Ultimate Music Theory - We Got You Covered! 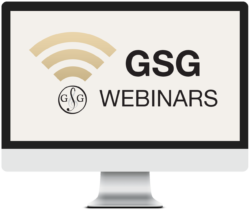 You don't want to miss these amazing informative GSG MUSIC Webinars created just for you! Learn the 5 Ultimate Music Theory "must have" Teacher Resources and Materials that will not only help you learn the music theory concepts but also help you easily teach these music theory concepts. And most importantly give you the tools to HAVE FUN teaching & learning & that’s what it’s all about! The RCM Theory Syllabus Overview - Ultimate Music Theory Webinars. These webinars are a 10 Part Series of GSG MUSIC Webinars covering the new RCM Theory Syllabus Overview from Preparatory to Level 8. We’ve created the UMT Comparison Chart for the NEW RCM Theory Syllabus. Available in the webinar for you to easily DOWNLOAD. Just click the link provided in the webinar. 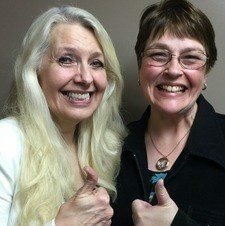 "NEW RCM Theory Syllabus Overview & Ultimate Music Theory ROCKS Webinar"
YES, Shelagh and I share the same desire and passion for Enriching Lives Through Music Education. RCM Theory Syllabus Overview & Ultimate Music Theory ROCKS! You will learn the answers to these 4 questions! How much time do we have to learn all the new material and what should we do before the cross over period ends? How did we get from Preliminary to Basic to Level 1 – where do we start? Preparatory, Elementary, Intermediate, Advanced - new collections or new levels... wait... what? History & Melody Writing – And I thought I was teaching theory – confused? YES, I'll answer those "fun" questions and many more for you as we work through our webinar series. Plus you will be getting the FREE downloadable Ultimate Music Theory Comparison Chart to make things easy for you and your students. It’s the KISS Method – Keep It Simple Students! This is the first of a 10 Part FREE GSG MUSIC Webinar Series. Register now, watch the webinar when it's convenient for you.